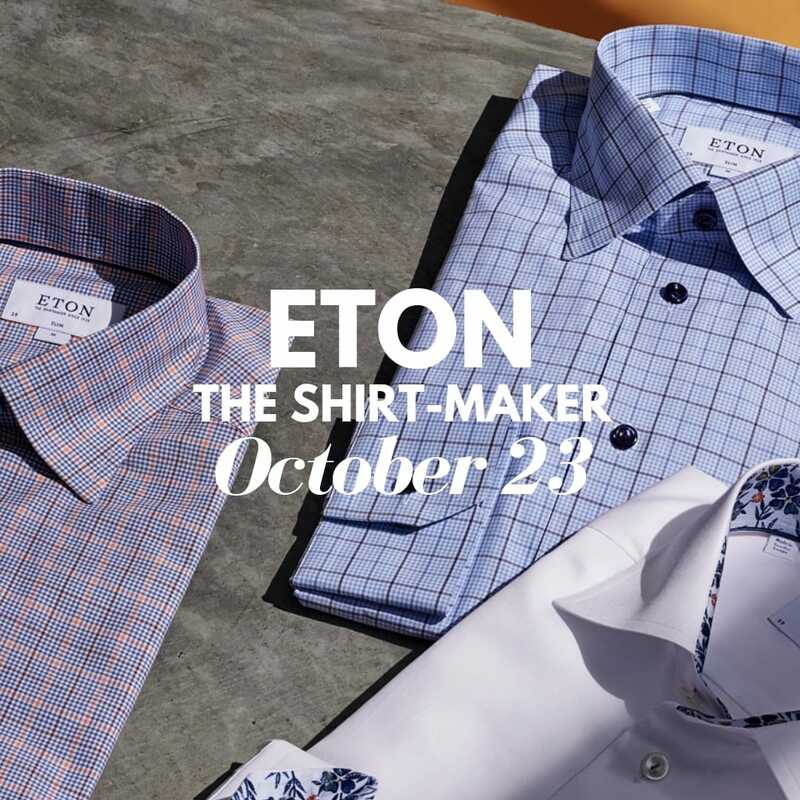 ETON A 90+ year-old Swedish Shirt-maker founded by a husband and wife team, Eton produces beautiful exclusive shirting fabrics with a fit you will love. Brent Cheney will be with us to show and tell you all the features and the advantages of this very special product. We think this can easily become your favorite shirt!